The point of impact of the ball with the bat where the position of the bat would be in horizontal direction when a batsman plays a shot. It is the position of the cricket bat which will be in horizontal direction when the impact of the ball with the bat happens. It’s all about the horizontal direction of the bat when you play a shot. The crucial shots like square cuts, upper cuts, late cuts, lofted cuts (in square and third man region), normal and lofted drives in cover, cover point, long off regions and hooks, slogs, pull shots are played with horizontal bat positions. The horizontal bat shots can be played by both “freeing our arms” and “short arms”. At the end of the day horizontal bat shots will play a major role in scoring runs towards off side region specially in square and third man regions. Generally playing horizontal bat shots on fast and bouncy tracks is little bit difficult. 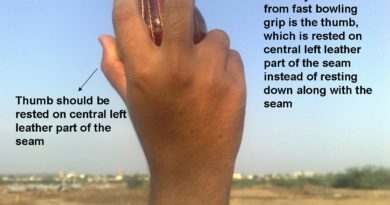 The horizontal direction of the bat at the chest or shoulder level position will not be able to contact the ball properly when the ball bounces enormously to shoulder or above shoulder level position especially at some of the great bouncy cricket pitches like WACA Perth, Gabba Brisbane, Trent bridge, Durban, Barbados etc. Any way this is the traditional general perspective of playing horizontal bat shots at bouncy tracks. But at the same time, as time and generations have been changing the modern day batsman have discovered some new trade mark shots and successfully implementing them. Some of the shots like upper square cuts, upper late cuts, short arm upper cuts, etc have made it difficult for fast bowlers most of the times and made them to rethink to whether bowl bouncers in and around the off stump line or not which actually is lethal weapon for fast bowlers. At least to some extent these special horizontal shots had put some breaks and able to tackle down these bouncy deliveries in and around the off stump line. 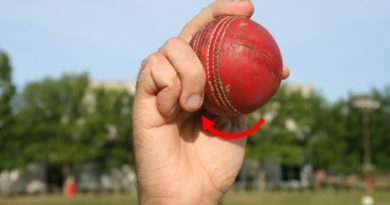 A good batsman will be able to dominate these bouncing deliveries thrown at in and around the off stump line with these special horizontal shots. Who could forget the great upper square cut shot by the great Sachin Tendulkar of Shoaib Akhtar’s bowling at centurion, South Africa in 2003 world cup. But most of the batsmen still feel it difficult in playing horizontal bat shots at good, fast and bouncy tracks. Even today in modern days of cricket it is quiet right that most of the batsman don’t even take a risk or attempt these special horizontal upper cut shots at bouncy tracks on off side region (or) horizontal bat positioned pulls or slogs or picks on leg side region especially in test matches. Since it has been always difficult for a batsman to play a horizontal bat shot when a ball jumps or bounces enormously to a shoulder or above shoulder level position after hitting the deck in and around off stump line. Very few talented batsmen had a success ratio in playing these special shots. How do you play a horizontal bat shot? Upper cuts, upper late cuts, short-arm upper cuts are played in square, over the point and third man regions. Conventional square cuts, conventional late and delicate cuts are played in square and third man regions. Lofted and normal drives, slogs are played in covers, extra cover and long off regions. 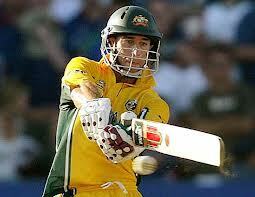 Hooks, pulls, slogs, horizontal picks are played in fine leg, square leg, mid wicket and long on regions. Conventional sweeps in square leg region, some of the paddle sweeps in fine leg region are also some kind of shots played with horizontal bat positions. These are the shots which can be played with horizontal bat positions, here we need to remember is most of the shots mentioned above can also be played in different formats like with cross-batted, straight and vertical bat positions. In general short length and good length deliveries are the most suitable lengths for the batsmen to play horizontal bat shots either in leg side or off side regions. Here the batsmen can stand and deliver their shots bowled in shorter or good lengths. But where as for some of the good length and full length deliveries the batsman has to bend his knees completely on the ground to play horizontal bat positioned sweeps on leg side region and horizontal bat positioned drives or cuts on off side region. The position of horizontal direction of the bat had made it possible to reach and cover the swing of the ball (out swingers specially) in and around the off stump line. Even in bouncy conditions some special horizontal upper cuts had made it easy to control over the bouncy balls in and around the off stump line. Swing of the ball was not always a problem in playing horizontal bat shots it is the good bouncing deliveries which was always a threat to horizontal bat shots. The in swinging deliveries coming into the batsman in and around the off stump line or middle stump line can be easily pulled or slogged by the horizontal bat towards leg side region. It can be played right on front foot or back foot when there is no bounce. E.g. : Great Vivian Richards used to slog or pull an incoming delivery powerfully with a horizontal bat position in to the stands of leg side region. At the end of the day it is the position of direction of horizontal bat by a batsman will make it possible to impact or contact the incoming or outgoing delivery with the bat. It’s a bit like unnatural or sometimes unorthodox to play a horizontal bat shot on the front foot in off side region. Horizontal bat shots are equally played both on the front and back-foot in leg-side region like most of the batsman pull or slog or hook the incoming or straighter deliveries in to the mid-wicket or square leg region with the horizontal bat positions. On a fast or good batting track where the ball reaches nicely to the batsman most of the batsman can easily play a horizontal pulls or slogs or picks both on the front or back foot in mid-wicket or square leg regions whether it may be bowled in shorter or good length. The pace of the ball will be true after hitting the pitch, the ball reaches nicely to the bat on these good batting fast tracks these are the reasons which makes the batsman to trust and judge the pace of the ball after hitting the deck then making them enough confident to play a horizontal positioned bat shots both on front or back foot in leg side region whether it may be bowled in shorter or good length region. On slower pitches where the ball doesn’t reach nicely to the batsman specially on Indian sub-continent pitches most of the batsman chose to play a horizontal bat pulls or picks on the back-foot in leg side region whether it might be short of length or good length. On these slower tracks the pace of the ball will not be true, the ball will not reach to the bat nicely these reasons make the batsman to play horizontal bat picks or slogs on the back-foot in leg side region so that the batsman can get more time to judge the pace of the ball whether it may be bowled in shorter or good length. On the front foot the batsman gets less time to judge the pace of the ball than compared to back-foot, the batsman can mistime the ball or can get top edge or can miss the ball in playing horizontal bat shots on these slower pace tracks with the front foot status. That’s why some of the good batsmen change their batting style depending upon pitch conditions. At the end of the day we need to remember is bouncers or bouncing tracks will always be a threat to these horizontal bat shots and they are. Finally to be safer these are the basic rules to be followed by any cricketer but rules can also be broken if a batsman is really confident and capable of picking bounce or any kind of delivery then he can play any kind of cricketing shot in any time, in any form of cricket and on any kind of track might be slower or faster.